Hope is the emotional state which promotes the belief in a positive outcome related to events and circumstances in one's life. Despair is the opposite of hope. Hope is the "feeling that what is wanted can be had or that events will turn out for the best". "To cherish a desire with anticipation", "to desire with expectation of obtainment"; or "to expect with confidence". In the English language the word can be used as either a noun or a verb, although hope as a concept has a similar meaning in either use. Licensing is an interesting way to earn money on Intellectual Property. I feel that intellectual property is a hopeful phrase. 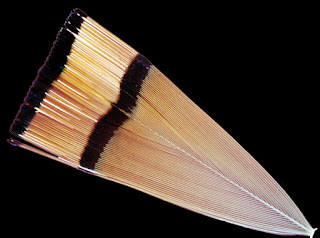 It came together one day when I was looking at an Egyptian rishi and I realized I had a huge feather collection. Like a door opening. The way I use feathers now informs my life and the time I get to spend at the computer working with these amazing artifacts is bliss. Graphic design and photography gave me the tools but the leap of faith came directly from the feathers themselves and what the ancient Egyptians had done with them. Rishi is a feather pattern. 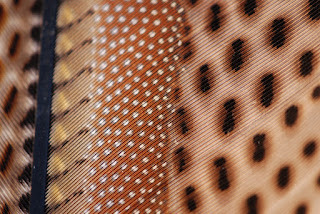 “Feather pattern”, it sounds so simple, doesn’t it? 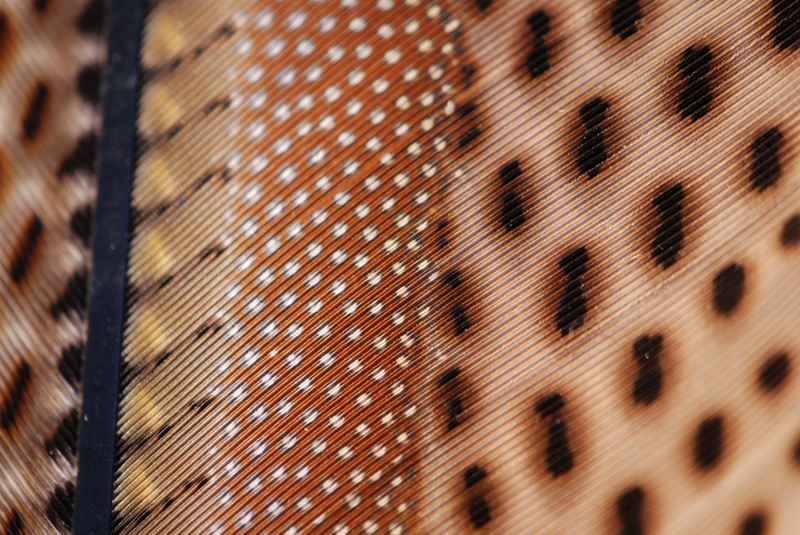 But some individual feathers have striking, absurd, glorious, unbelievable patterns. The time and consideration that goes into the collection, photographing and then moving about individual plumes can eat up a day. But when I see what I’ve done, it fills me full of hope. Maybe there is logic in the world. My best digital feather rishis are brain teasers that make the eyes dance. Figuring out how the pattern on a feather goes together with other feathers, can take a week or more to solve. Being in school has made it difficult to devote the kind of time that I would like. It’s summer, so I recently started showing my designs. I’m very encouraged. I already have a couple of licenses but I will hold off announcing what they are until the merchandise is available for sale. Before that, it’s intellectual property and hope. Of course, reading that I was really encouraged. Feathers are the most fascinating objects I have ever worked with and with any luck, with their endless shapes, patterns, textures, I can get them to speak to others the way their beauty speaks to me. With my photographs feathers are given a new life after being cast off in a molt. 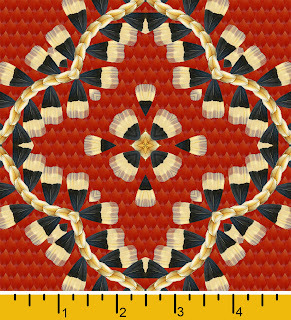 My patterns are called Feather Rishi. I would like to license feathers for every surface. 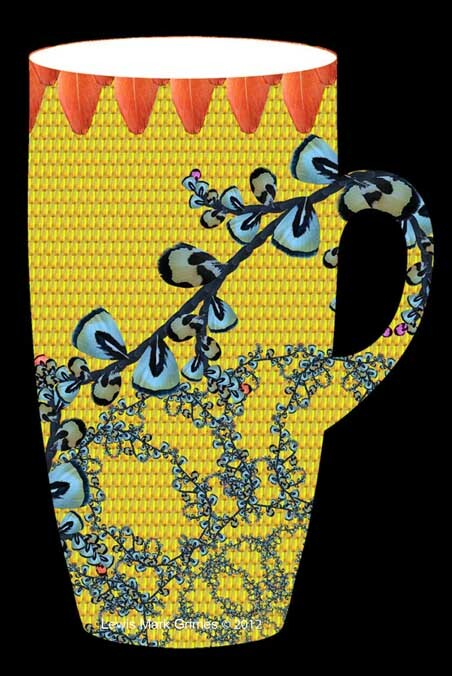 Here is a product design from the Melinda suite. This Melinda mug is made of cockatoo, Yellow Golden pheasant, Reeves pheasant and black Polish chicken. Other designed products in the Melinda line include, table cloths, place mats, platters, trays and other table ware. College life has been good to me. I just completed a 4.0 semester with an overall GPA of 3.8. Today I have another story to tell. Two months ago when I exhibited my work, it got noticed. I’m a new artist. I studied numerous art forms like this example of my painting. But Graphic Design proved to be my story. It took me a semester to get my feet wet. 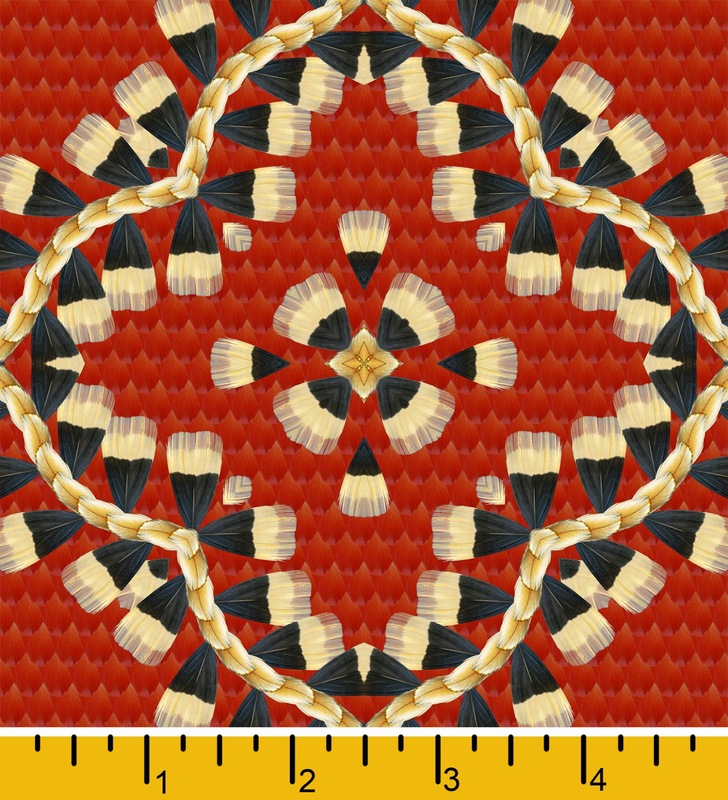 Suddenly with the power of a computer I was able to re-composite feathers into my own patterns. It was a surprise at first, an unintended side effect of keeping companion birds. They were happy birds. I used to be suspicious of people who kept birds. I would think, “How cruel to cage a creature that can fly.” Then, I was given a singing angel, a canary who taught me about birds. He was born in captivity, never knew anything but a cage and if I let him go outside he wouldn’t have lasted a day. He lived a long, happy life and sang with more force and clarity than I have learned is usual. How do I know birds are happy in a flight? The best examples are the ones that return to their cages. I also had pheasants. They are majestic birds that have informed many of my designs. When I released the goldens into the yard, I learned the males would stay although they would dwindle due to predators. Pheasants are game birds just like chickens and mostly easy to domesticate. They inspire my work. People tell me my art is unique. God bless Photoshop. I’m also lucky to have a great molted feather collection. If you have a rare or exotic feather and you want to see it preserved forever in digital form, please consider lending it to me for macro photography. I’ll return it. I’m very flattered by the reaction to my new work. I feel honored that life is giving me a chance to do something productive with my passion.